As tablets rise in popularity with kids, we’re seeing more and more accessories designed just for them. One example are the DigiTools sets from Crayola for the iPad. I’ve had my eye on these for awhile, but we recently received a review set from Verizon Wireless so we could try them out at home. Crayola currently has three apps that each correspond to one of the DigiTools sets: the DigiTools 3-D App, Airbrush App, and Effects App. The apps are available for free to download on iTunes, but require one of the DIgiTools to unlock the full set of content. You can purchase the sets individually, or the DigiTools Deluxe pack which comes with four tools, and a pair of 3-D glasses. We reviewed the full Crayola DigiTools Deluxe Creativity Pack . The kids nabbed the tools the minute they were out of the package, so I got some time to watch them in action. By far the favorite tool was the 3-D Stylus which draws two lines at the same time, creating the perfect artwork for viewing with the 3-D glasses. The 3-D effects are pretty cool. As my kids played with each of the tools, something was bothering me, but it took me some time to realize what it was. Kids naturally take to tablets because the touch interface is intuitive for them. 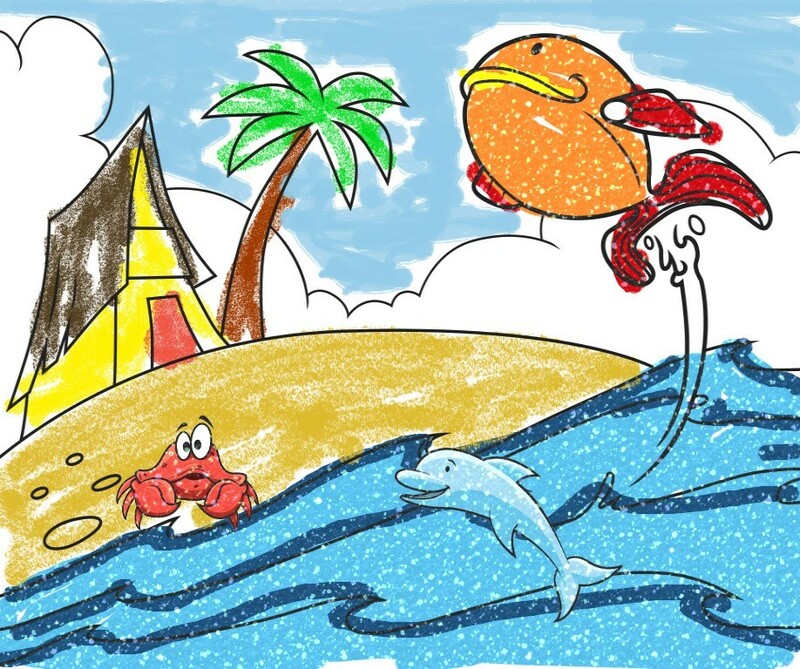 It requires far less fine motor skill to operate an iPad than to draw with a crayon. With that in mind, it should not come as a surprise that they soon abandoned most of the tools, especially the Digital Crayon, and operated the app with their fingers. Most of the app tools work just as well with a finger than with the physical tool. Each of the DigiTools sets comes with a case for taking the tools on the go. The case clips onto the iPad, which may be helpful in the car or on a plane. The individual sets retail for around $20, while the deluxe set retails for about $40. They’re fun, but I think I’d try to find a set on sale somewhere rather than paying full price. And I’d aim for one of the smaller sets, any of which should unlock all of the apps. The 3-D DigiTools is probably the best choice, since it has the double stylus and glasses. 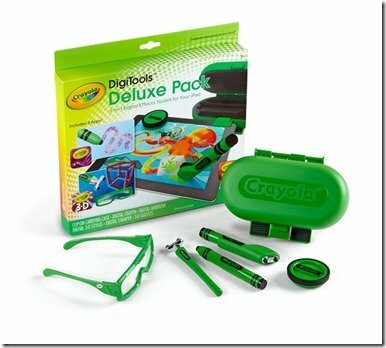 The Crayola DigiTools sets are for iPad only. There are a number of negative reviews on both the apps and the tools because they do not work well with the iPad Mini. The Stamp tool (which comes with each set) is required to unlock the apps. It uses three touch-points to register on the iPad screen. Since the Mini screen is smaller, the Stamp tool may not register properly, making it impossible to unlock the app via that method. Disclosure: We received a unit for review. There was no additional compensation and the opinions contained in this post are my own. Affiliate links are in use in this post.